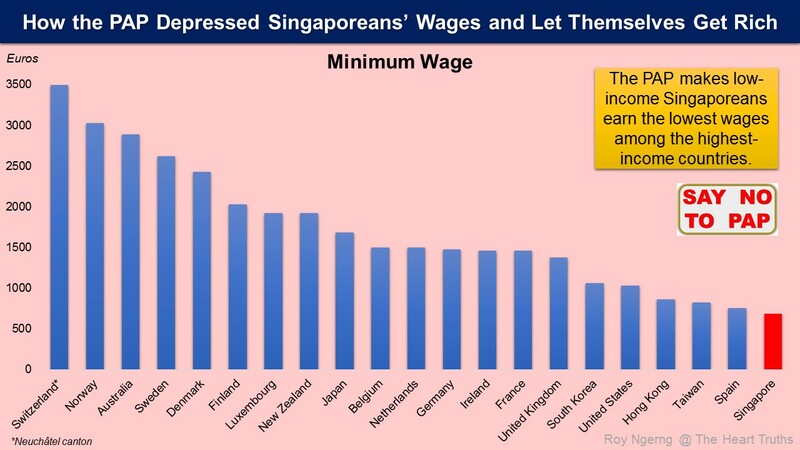 Do you know that Singapore is one of very few countries in the world where there is still no minimum wage? The countries in orange in the chart below are those without minimum wage. Singapore is one of these very few. There have been numerous calls to ask the PAP-run government to implement minimum wage in Singapore to protect Singaporeans but they have refused to do so. Instead, the PAP has controlled the labour unions and prevented them from advocating for higher wages for Singaporeans. The PAP did so by arresting and imprisoning hundreds and thousands of opposition politicians, labour unionists and student activists from the 1960s to 1980s, who had fought for the workers. Chart 1: World Policy Forum How is minimum wage established? Do you also know that low-income Singaporeans earn the lowest wages among the highest-income countries? 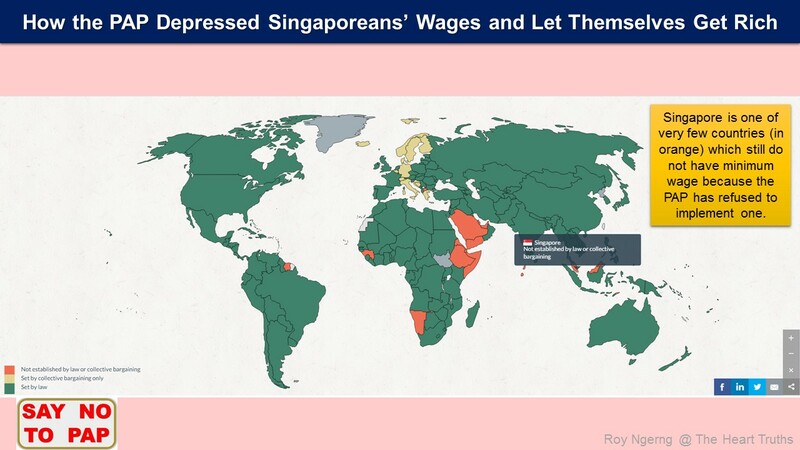 Singapore has now become the most expensive country in the world but Singaporeans still earn one of the lowest wages among the developed countries. However, the PAP still refuses to increase the wages of Singaporeans or implement minimum wage and expect cleaners to live on only $1,000 every month. The PAP also claims that a person who earns $1,000 is able to buy a HDB public flat. In addition, do you know that Singapore has the least employment protection legislation among the OECD and Asia-Pacific countries, after the United States? This means that it is the easiest to fire a worker in Singapore. This is why so many Singaporeans have lost their jobs en masse in certain job industries and there is nothing they can do about it. The Ministry of Manpower has also every so often turned a blind eye to these problems. Do you also know that Singapore is one of very few countries in the world which still do not have income protection for unemployed workers? Look at the countries in dark orange in the chart below. Singapore is one of these very few countries which do not have unemployment assistance and legislated severance pay. However, where many workers in Singapore have lost their jobs en masse and where the government spends very little on healthcare, education and retirement for Singaporeans, many Singaporeans have to struggle to pay for these when they are out of jobs. Chart 4: World Policy Forum Is income protection during unemployment available? In 2001, Singapore was ranked by The Economist as the 97th most expensive place in the world. However, by 2013, Singapore became the most expensive place in the world and has been the most expensive ever since. 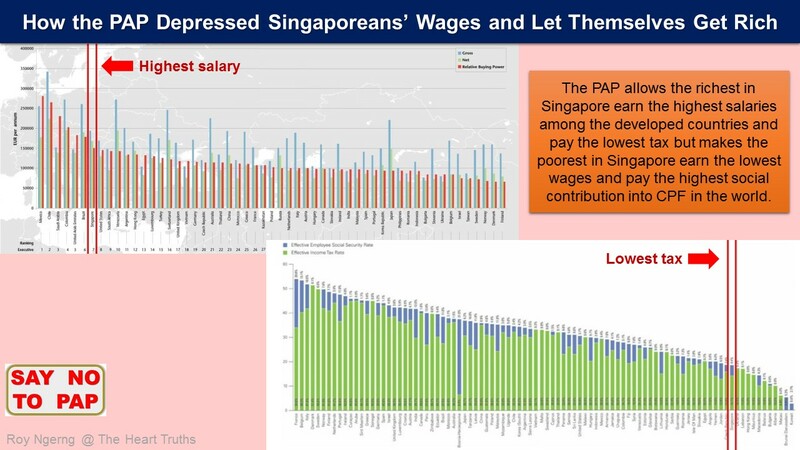 However, Singaporeans continue to earn one of the lowest wages among the developed countries and the low-income earn the lowest wages among the highest-income countries. As such, Singaporeans today have the lowest purchasing power among the developed countries, and on par with Malaysia and India. 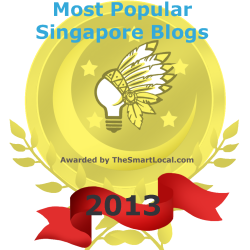 For the majority of Singaporeans, many of us are struggling and poverty is estimated to be at 30% in Singapore. However, for the rich, and the PAP among them, continue to earn the highest salaries among the developed countries and one of the highest in the world. To them, Singapore is still a cheap place and it has become a rich’s playground for them. In fact, do you know that Singapore is the city with the third highest number of ultra-high-net-worth individuals in the world? Singapore is also the city with the third highest concentration of these super-rich individuals. 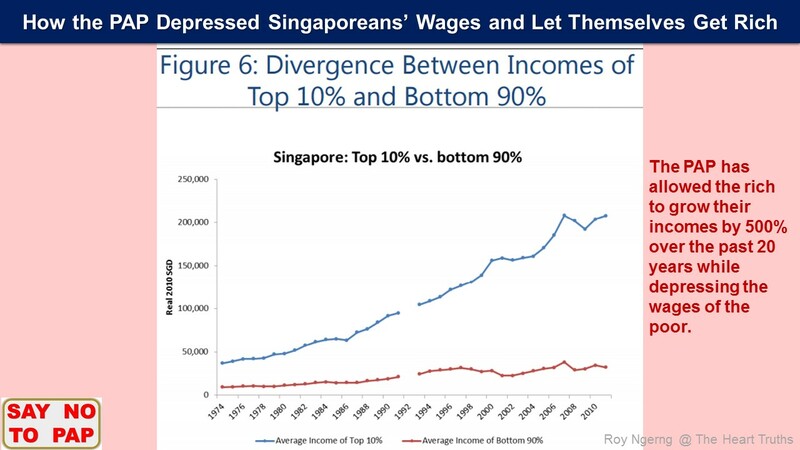 But Singaporeans have not become better off. In fact, lives have gotten worse-off for many Singaporeans. The richest in Singapore earn the highest salaries among the developed countries and pay the lowest tax. However, the poorest in Singapore earn the lowest wages and pay the highest social contribution into our CPF in the world. Trade and Industry Minister Lim Hng Kiang said that Singapore cannot be a First World country with Third World costs. 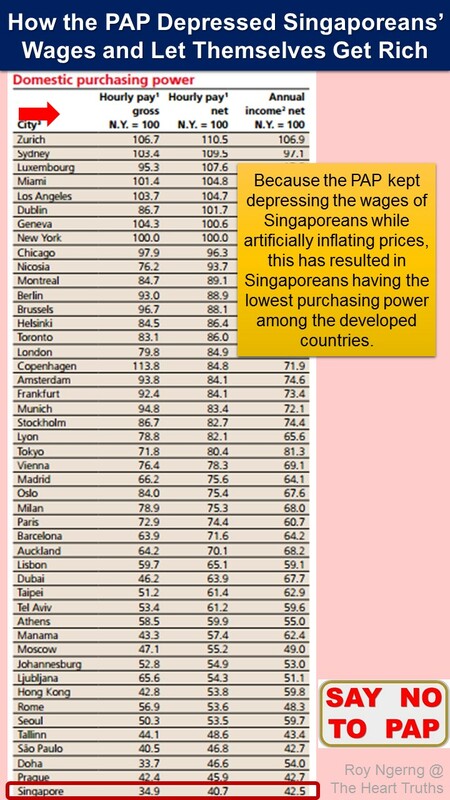 Indeed, Singapore has indeed become the most expensive country in the world today. 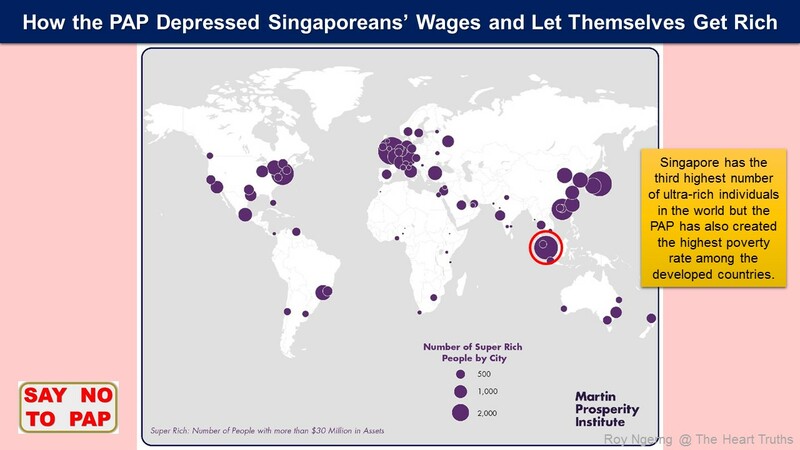 However, Singaporeans continue to live on Third World wages. 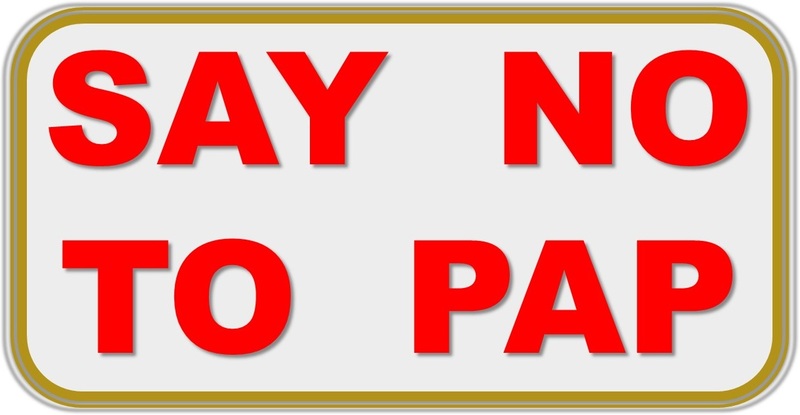 The PAP-run government expects Singaporeans to pay for First World costs but how can Singaporeans continue to do so when we earn Third World wages? The PAP claims that it is a First World government but is this how a First World government treats its citizens, by paying them Third World wages and then letting itself earn First World ministerial salaries? Moreover, low- and middle-income Singaporeans have to pay the most social contribution into the CPF in the world, leaving the large majority of Singaporeans with much lower purchasing power than the rich. On top of that, the PAP government’s spending is also Third World – it spends the lowest on healthcare, education and social protection, as a percentage of GDP, among the developed countries and one of the lowest in the world. How are Singaporeans expected to live on Third World wages and Third World government spending but on First World costs? The Singapore prime minister’s salary is also large enough to pay for the leader’s salary of India, Brazil, Italy, Russia, France, Turkey, Japan, United Kingdom, South Africa, and Germany. Indeed, the PAP ministers would pay themselves the highest salaries in the world but they would force low-income Singaporeans to earn the lowest wages among the highest-income countries. As a result, the majority of Singaporeans today cannot earn enough to have a decent living in Singapore. However, is this how a government should run the country? Should a government pay themselves such high salaries while letting the rest of Singaporeans languish? Meanwhile, the PAP also spends the lowest on healthcare, education and social protection, as a percentage of GDP, while making Singaporeans pay for the most expensive public housing in the world. This means that with the depressed wages that Singaporeans are earning, we have to pay even more out from our own pockets to pay for the basic necessities, making it a struggle for Singaporeans. However, for the PAP ministers who earn the highest salaries in the world, they can make claims that a heart bypass is $8 and that someone who earns $1,000 can still buy a HDB flat. The PAP is simply out-of-touch with the majority of Singaporeans, who have to live difficult lives. Since the mid-1970s, the real incomes of the richest 10% in Singapore have grown by 500%. 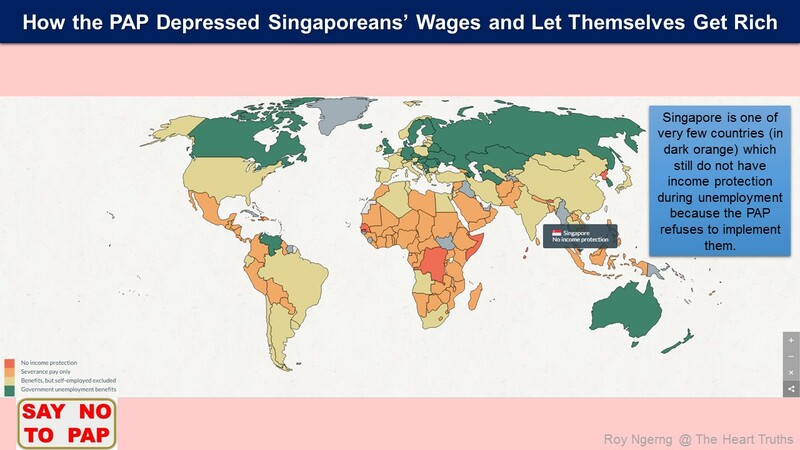 However, for the poorest 10% in Singapore, their real wages have remained largely stagnant and depressed. While the PAP argued to increase their own salaries upwards to millions of dollar in 1984, 1994, 2000 and 2007, at no time were they willing to implement a minimum wage to increase the wages for Singaporeans. The PAP would implement a minimum salary for themselves but they would not do so for Singaporeans. 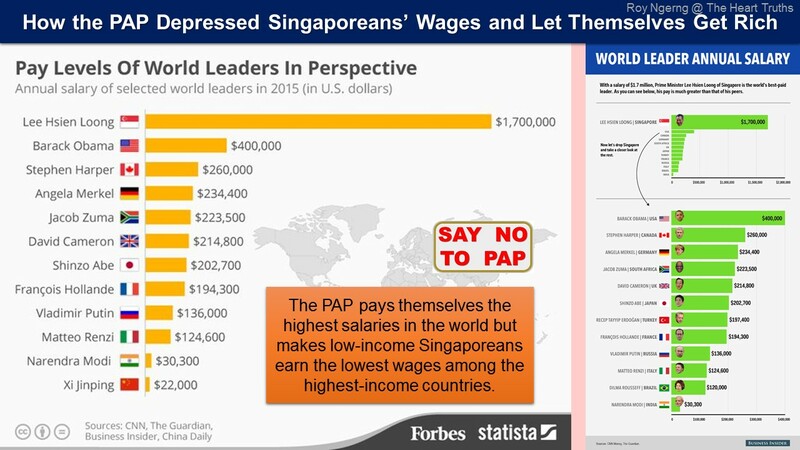 Today, Singapore has the highest income inequality among the developed countries precisely because the PAP would increase their own salaries but not for Singaporeans. The PAP also took control of businesses to increase prices and profits and also controlled the labour unions to prevent Singaporean workers from being able to collective fight for our wages. Finally, since the mid-1990s, the share of income that goes to the rich kept increasing and increasing. The share of income for the richest 10% increased from 30% in 1995 to 42% in 2011. However, the real wages for low-income Singaporeans have remained stagnant for the past 20 years and have remained so for middle-income Singaporeans for the past 10 years. Not only that, the rich-poor gap in Singapore is also the widest among the developed countries and the gap has actually also been widening the fastest among the developed countries. 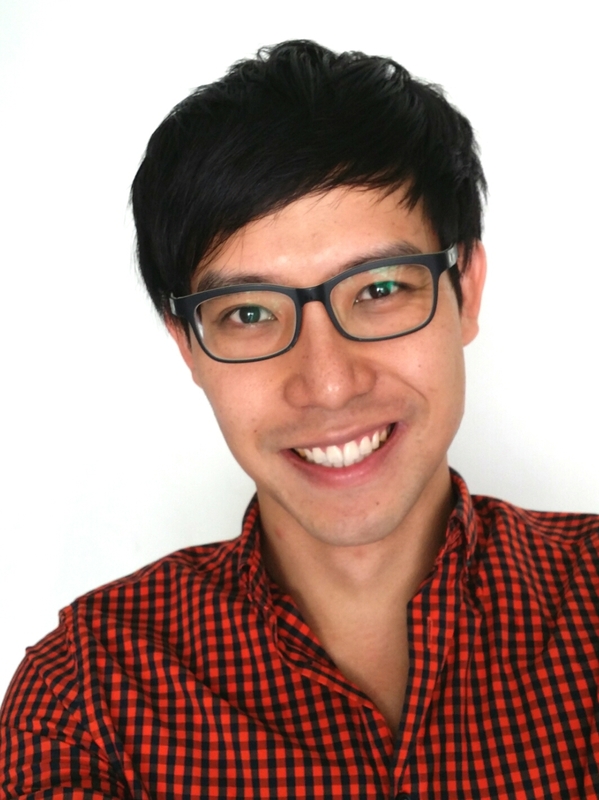 Singapore today is a vastly unequal country. However, then-Minister for Social and Family Development Chan Chun Sing still refused to define a poverty line and Minister for Ministry of Culture, Community and Youth Lawrence Wong also claimed that income inequality has stabilised in Singapore when this is clearly not the case. This is what the PAP has done to Singapore. Will you still vote for them? April 28, 2015 - 6:45 pm Treason or CBT??? 1) U have stir up e hornet’s nest, where even Eagles who tried got exiled, bankrupt or thrown into prison. 2) Your honesty & morale courage is rare & admirable. 3) May God Bless & Protect You & Your Family. 4) SG Today face Major Crisis & Problems, with Leaders & Govt still in Denial & Disconnect from Reality On e Grounds & Her Native Citizens who Sacrificed & Help built this Nation e Past 50 Years! 6) No other 1st or 3rd World Countries inflicted such Pain, Hardship, Madness, Betrayal, Victimization & Treason on Their Own Citizens! 7) Using Globalisation, Productivity, GDP & Population Growth as An Excuse & Smoke-Screen to Mislead, Distort, Lied, Deceived & Trick Loyal, Hard Working, Obedient & Law-Abiding Citizens. 9) The Truth will comeback to Bite those Responsible, Overated & Overpaid Leaders & Politicians. For Sure. 10) The Karma of cheating & turning People’s Lifetime CPF Savings into monthly “Pension Fund” without their Permission and Referrandum tantamount to Day-Light Robbery! They, their families & their 3-Generations will be Cursed & Suffer Retribution with No Room to Repent, when Devils & Satan come Calling by their Death-Bed, as History Has Shown. Amen. Yes, Politics Are Dirty. But to Sacrifice own Country & Innocent Citizens must Surely be the Dirtiest??? Your Efforts & Sacrifice are Not In Vain- Roy & Amos. Cheers!!! I have not come across a man so frustrated and angry as you in all my 62 years on this Earth. Cursing not only them but also their families? If a lot of people say good things about you than God will be persuaded to look at you kindly. On the other hand, when a lot of people say bad things about you, than even God will not be able to help them. The old man was obsessed with Sin. Hence his cabinet of flatulent is obsessed with Sin. Naturally, the people are obsessed with Sin. Day in and day out, they are so proud of Sin. Nothing but praises for Sin. “We must press on with our efforts to become a manpower-lean economy that is driven by productivity, innovation and skills; and one that can create good jobs and sustain wage growth for our workers,” Mr Tan said in his May Day message yesterday. May 1, 2015 - 12:20 am ROY!!! Make sure you take a look at the statistics here: http://www.numbeo.com/cost-of-living/compare_cities.jsp?country1=Singapore&city1=Singapore&country2=United+States&city2=New+York%2C+NY . The Singapore Prime Minister Earns Enough to Govern China and India!